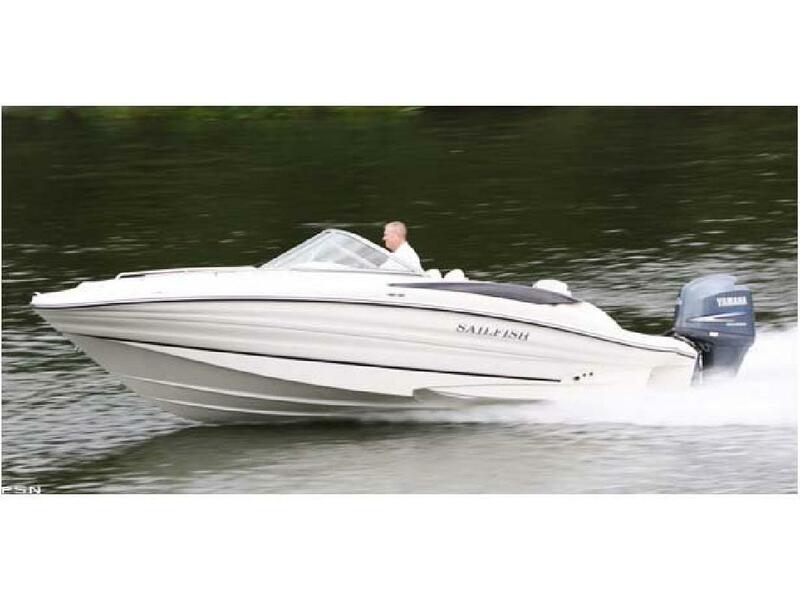 Call for quoteNew for 2011, the 22 Dual Console Sailfish Boat brings a combination of fishing and family water sports all rolled up into one fine package. This dual console has more standard features than any other 22 dual consoles on the market today. Built tough, just like the offshore models from Sailfish, this dual console is ready for fresh and or salt water environments. Packed with all the items needed for a full fun day on the water, with family and friends, the 22 DC can be converted into a fishing machine by simply removing a few cushions, store them away, and you have a fishing platform ready to go. Visit or call your local Sailfish dealer today and see why Sailfish continues to be the leader in family fishing fun on the water! New for 2011, the 22 Dual Console Sailfish Boat brings a combination of fishing and family water sports all rolled up into one fine package. This dual console has more standard features than any other 22 dual consoles on the market today. Built tough, just like the offshore models from Sailfish, this dual console is ready for fresh and or salt water environments. Packed with all the items needed for a full fun day on the water, with family and friends, the 22 DC can be converted into a fishing machine by simply removing a few cushions, store them away, and you have a fishing platform ready to go. Visit or call your local Sailfish dealer today and see why Sailfish continues to be the leader in family fishing fun on the water!